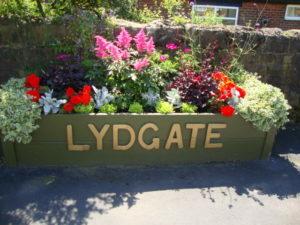 Thank you to all the many people who supported Lydgate and made the village look fantastic for Judging Day. 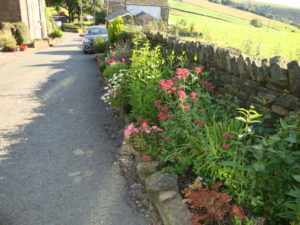 People had been out sweeping, weeding, planting and tweaking and everywhere looked fantastic. 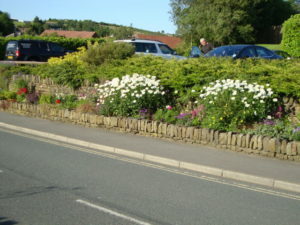 It was a huge team effort, fences were painted, pathways strimmed, roads and pavements swept and grit boxes washed. Thank you for the effort that you made. The effort made by Oldham was amazing and it was great to be part of their team. 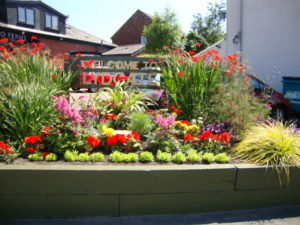 There were two competitions one for NW in Bloom and the other for the National Champion of Champions. Results will come out separately one in September and the other in October so watch this space!